Author Shawntel Jefferson brings us the second book of the Refreshing Winds Series, Refreshing Winds Book of Prayers& Journal. Have you been wondering how to start the process of renewal? Jefferson equips readers with thirty-one powerful prayers to help begin the process of spiritual renewal. Change is just a prayer away. 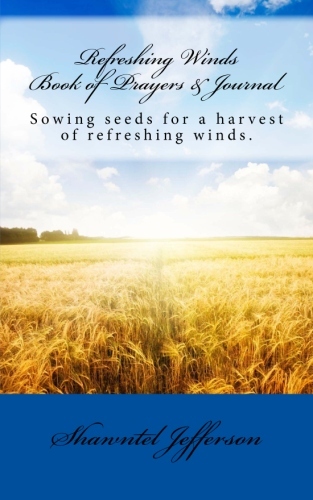 You can purchase a copy of Refreshing Winds Book of Prayers & Journal here.